This is actually the third concept sketch of Eve, and the second for Fitz. 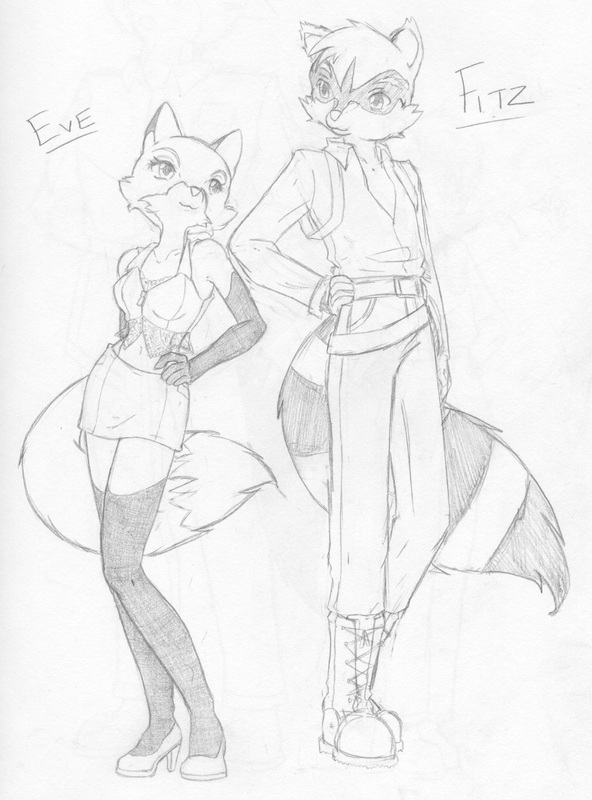 Eve is certainly looking how I want her to, she's been giving me a lot of trouble half because I was trying to get used to drawing in this style, Fitz is also looking a LOT better than he did in my first attempt at him. I'm actually pretty pleased with them.